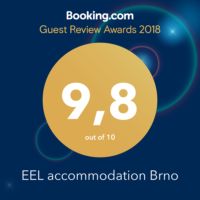 Since 2004 we have successfully provided quality, short-term accommodation in our comfortable apartments located in the old town of Brno, close to the historical centre. If you are looking for central accommodation and value-for-money, then EEL Ubytovani is a winning choice. Our 3 star modern apartments are ideal, whether you are visiting Brno for a holiday or business. Everything you need, restaurants, bars, supermarkets and tourist spots, is just a short stroll away and the main train station is within easy reach. 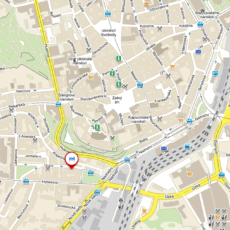 Head to the popular Svobody Namesti (Freedom Square), hop on a tram to the Exhibition Centre and the Technology Park or catch an easy connection to the Grand Prix. You can expect the highest of standards of comfort when you book into one of our six apartments, with pleasant interiors and a southwesterly aspect. Enjoy a peaceful location and well equipped apartments enhanced by complimentary fast-speed wireless internet, cable TV and a wealth of tourist information. 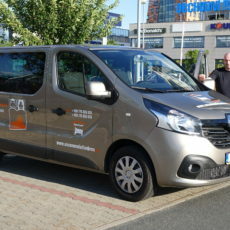 We offer every assistance to make your stay in Brno as easy as possible. Whatever brings you to Brno, you are treated to a comfortable residence as an alternative to hotel living. From the moment you arrive, kick off your shoes, pour yourself a well-deserved drink and make yourself thoroughly at home. Both early arrivals and late departures are subject to availability and on request basis only. There is no fee for early check in if it is able to be provided.